The LVCN4300 Series level switches are flexible, as well as cost effective, level solutions for a great variety of applications. Rods can be encased in PTFE tubing as an option. The wide range of applications for RF level measurement switches include liquids and paste. To cater to all applications, OMEGA’s capacitance probes are offered with different designs and features. Housings must also be compatible with the requirements for hazardous, wash-down, wet, and/or dusty environments. Explosion-proof environments may require the housing to be certified. In addition, the active probe might need to be intrinsically safe or have an intrinsic safety barrier. 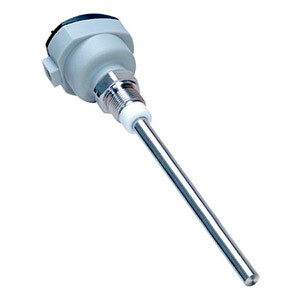 The LVCN4300 series point level switch probe works as a remote probe and is compatible with the LVCN400 series relay. This combination allows the electrode to be used in temperatures up to 177°C (350°F). The LVCN4300 is a very compact 316 SS switch. Note: Comes complete with operator''s manual.